Since a large part of GNG’s Sunday service is music, sound engineering is very important. GNG has a large worship band and vocal team. It is very important to engineer the sound in which the volume levels are loud but not deafening, pleasing and accurate. Everything that happens in a Sunday service goes through the sound system. Thus, engineering sound is one of the most important and high-responsibility ministries at GNG. It helps if you have engineered sound before, but if you have not, we can train you. It does help to have a good ear for music and sound. 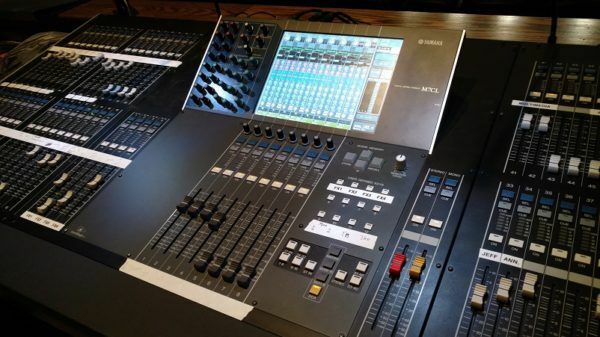 We use a digital mixing console at GNG, and will provide you with the necessary training to use it. If you think engineering sound may be for you, volunteer. We will work you in to get trained alongside our current sound engineers. We won’t throw you out there on your own as soon as you sign up. We want to make sure you are comfortable and can handle everything that can happen during a live Sunday service.